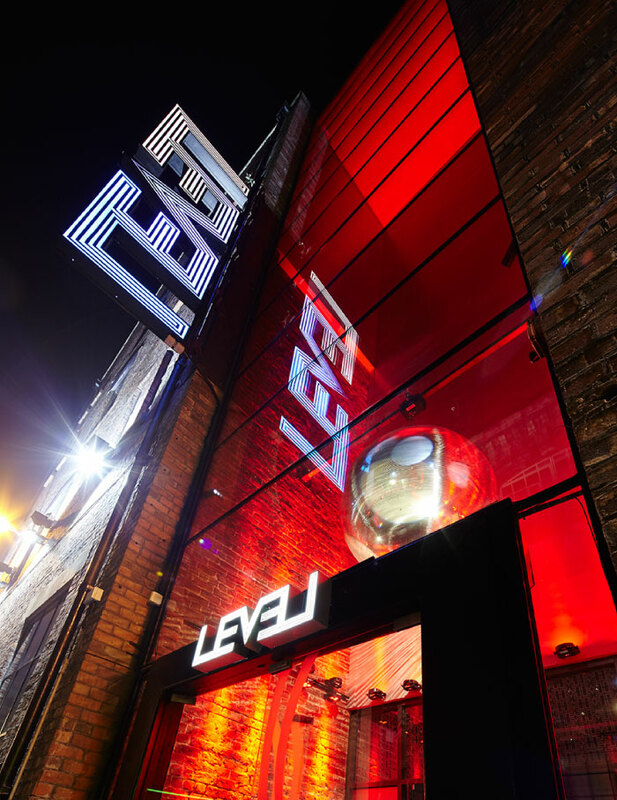 An eclectic and bold addition to the recent resurgence of Concert Square in Liverpool, Level nightclub provides three floors of dance and entertainment. 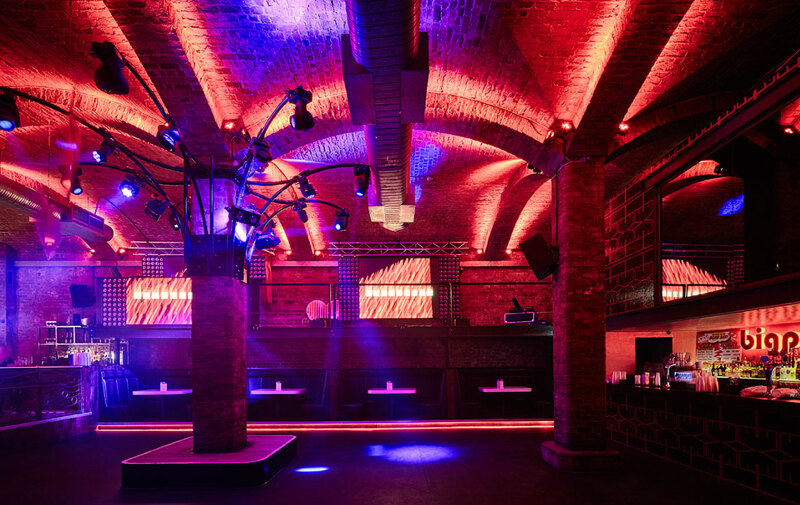 The original features of the former spice mill, large brick piers, vaulted ceilings and generous proportions provide the perfect basis for an industrial dancehall venue. 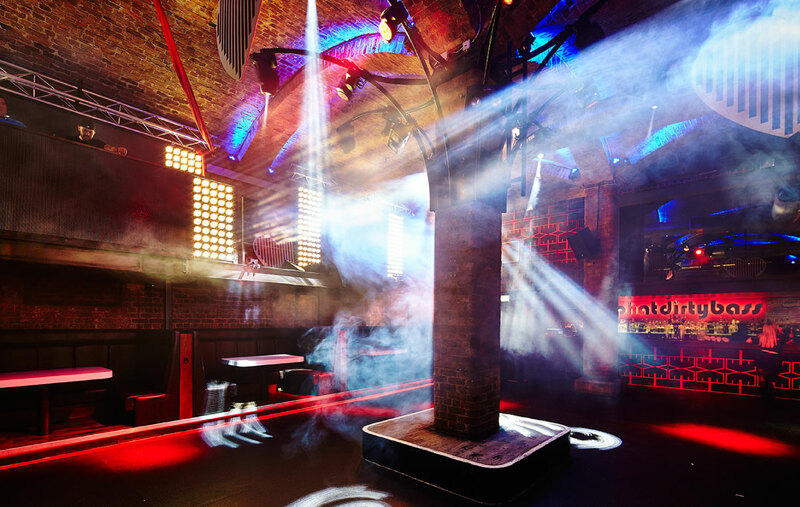 The architectural challenges consisted of utilising these high ceilings with a spectacular DJ mezzanine to create a visual and spatial link between vast crowds and the performer. The construction of the mezzanine encapsulates the industrial / glamour fusion of the aesthetic, coupling the exposed steel lintels which slide into the intricately tiled bar and washroom area. The branding, detail design and spatial programme were all overseen by Snook to promote coherence. 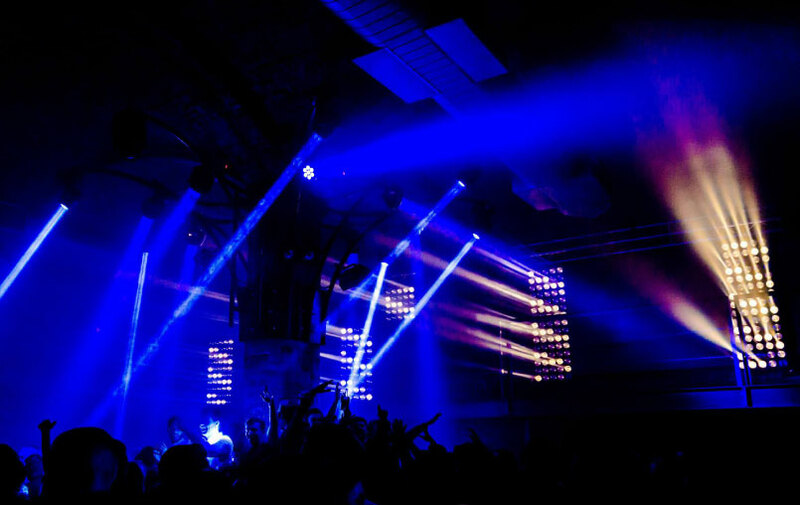 This cohesion was offset by the variety between the floors and their different musical and visual identities.